Nowadays, it’s been quite popular to expand your Windows screen by using two or more monitors. DisplayLink products is the common choice for users. To make DisplayLink USB graphics work compatibly with Windows 10, it’s advised that you’d better keep your DisplayLink driver up-to-date. Here in this article, we will be showing you how to download the latest DisplayLink diveron your Windows 10. A. It requires the administrator privileges to install a new device driver on your Windows computer. So make sure you log in your Windows with an administrator account. B. You should always keep your printer driver up-to-date to enable it work fine. You can choose to download the most recent driver for your Displaylink directly from the official HP website. Important: Do not download the driver file from a website you don’t know about its security. 1) Go to the official Displaylink webiste. 2) Locate the driver download page. 3) Select your operating system. It will takes you to the download page then. 4) Click the Download next to the most recent version of the driver file. 5) When it completes downloading, double-click the downloaded .exe file to follow the on-screen instructions to install the driver on your Windows 10. 6) Restart your Windows computer to make the new driver take effect. It’s direct and straight-forward to download the driver from the manufacturer’s website though, it requires your time, patience and the computer technique. If you are not a computer savvy or, you want to do it much faster to save much more time, instead, you can update your HP Envy 5530 driver automatically with Driver Easy. Follow the next way then. 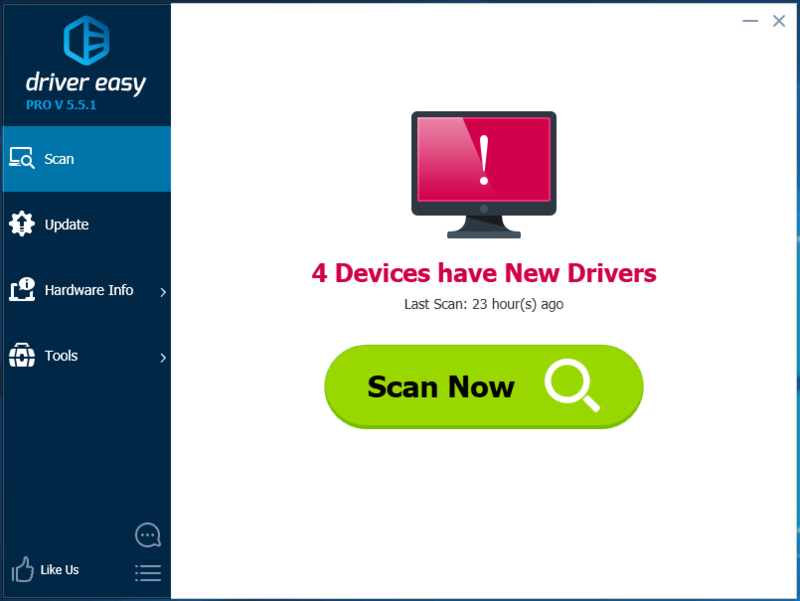 Driver Easy applies to your Windows 10 and other common versions of Windows, like Windows 7, 8. It will automatically recognize your system and find the correct drivers for it. You don’t need to know exactly what system your computer is running, you don’t need to risk downloading and installing the wrong driver, and you don’t need to worry about making a mistake when installing. 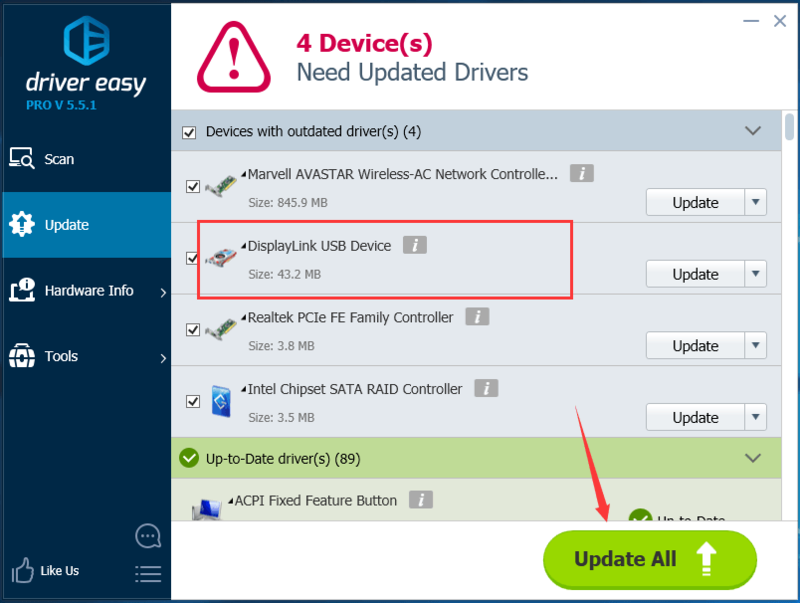 3) Click the Update button next to your flagged Displaylink device driver to automatically download and install the correct version of this driver (you can do this with the FREE version). 4) Restart your Windows computer to make the new driver take effect.